The Fedora Project has recently announced that Firefox 38 has been included to te default repositories of Fedora 21 and Fedora 22 (which should be released on the 26th of May). Firefox 38 has been recently released by Mozilla and brings new Tab-based Preferences menus (already implemented on the Beta channel), some special changes for developers, a bunch of HTML5 improvements, the autocomplete=off feature is no longer supported for username/password fields, support for high DPI screens and some other changes. New: Base for the next ESR release. 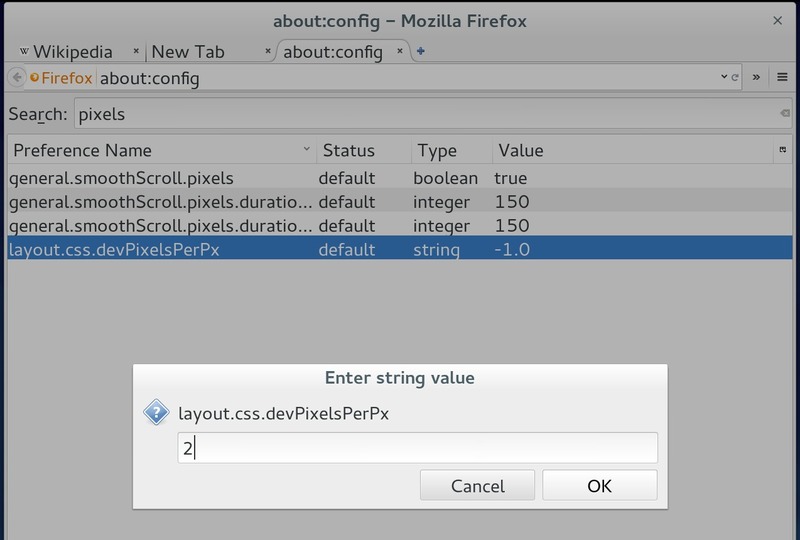 Next, to enable the high DPI mode in Firefox, go to about:config and set the layout.css.devPixelsPerPx value to 2. For more information, see this link.